US President defends decision to withdraw troops from Syria amid reports he made the decision hastily. 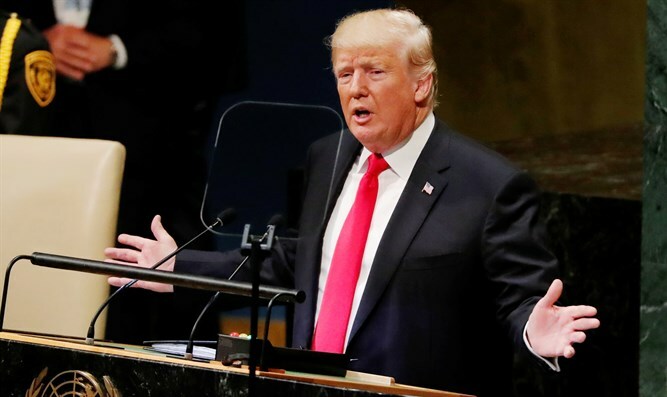 US President Donald Trump on Friday defended his decision to withdraw troops from Syria which, he claimed, was done because the Islamic State (ISIS) jihadist group was defeated. “I’ve done more damage to ISIS than all recent presidents....not even close!” he tweeted. The tweet followed a report in The Associated Press which said Trump’s decision to withdraw American troops from Syria was made hastily, without consulting his national security team or allies, and over strong objections from virtually everyone involved in the fight against ISIS. According to US and Turkish officials quoted in the report, Trump stunned his Cabinet, lawmakers and much of the world with the move by rejecting the advice of his top aides and agreeing to a withdrawal in a phone call with Turkish President Recep Tayyip Erdogan last week. The December 14 call, described by officials who were not authorized to discuss the decision-making process publicly and spoke on condition of anonymity, provides insight into a consequential Trump decision that prompted the resignation of Defense Secretary Jim Mattis. It also set off a frantic, four-day scramble to convince the president either to reverse or delay the decision, according to the report. The call reportedly came a day after Secretary of State Mike Pompeo and his Turkish counterpart Mevlut Cavusoglu agreed to have the two presidents discuss Erdogan’s threats to launch a military operation against US-backed Kurdish rebels in northeast Syria, where American forces are based. The NSC then set up the call. The State Department and Pentagon declined to comment on the account of the decision to withdraw the troops.